Dry-erase whiteboards in a variety of display options. Dry-erase boards by Magnatag® are made with our proprietary magnetic steel whiteboards surface. Our porcelain like dry-erase surface is specifically designed to withstand a lifetime of write-on, wipe-off use. 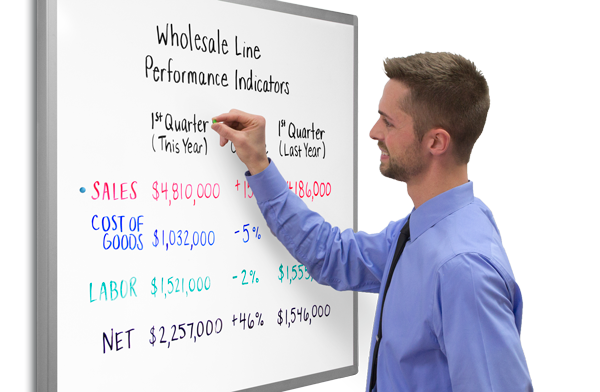 All of our dry-erase boards come in a wide range of sizes and display options. Each board, with wall-mounting hardware, can be ordered with dry-erase tools and board maintenance supplies only or, with a full ready-to-use kit, including magnetic charting materials carefully selected for each board size.